It’s another aftereffect of the rise in housing prices: piggyback loans in Kenai, Alaska are making a comeback. According to a recent American Bankers Associations Report, the number of piggyback loans originated across the nation more than doubled within the past year. A piggyback loan involves taking out two mortgages simultaneously, with a home equity loan (aka “second mortgage”) ‘piggybacking’ on a first mortgage. In Kenai Real Estate home purchases, piggyback loans typically come into play when the buyer is unable to provide a full 20% deposit. Normally this would necessitate the buyer having to take out private mortgage insurance (PMI), which can be pricey. By going with the piggyback loan alternative, the Loan to Value (LTV) ratio can be reduced to less than 80%, the threshold below which PMI requirements vanish. A standard piggy back loan is structured as a “80-10-10”—meaning that 80% of the purchase price comes from the first mortgage, the next 10% from the second loan, and the final 10%, the deposit. One major downside to piggybacking is cost. The interest rates charged on piggyback loans are significantly higher than those for first mortgages, so it may prove less expensive to pay for PMI for a short period of time. This is more likely in a rising market, since the Loan to Value can shrink below 80% before long. 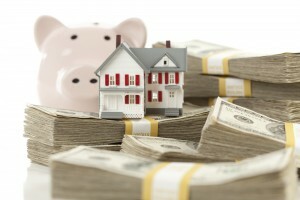 Another problem can crop up when it comes time to refinance. In order to refinance, the second mortgage lender has to agree to remain in a subordinate position. This agreement (known as re-subordination) may, in some cases, be hard to reach. Lastly, homeowners with a piggyback loan are unlikely to be able to take out a third loan should they want to access their home equity. Nowadays, thirds are rarely granted. Between 2000 and 2006, it made a lot of sense to take out a piggyback loan. The interest on piggyback loans was tax-deductible, while mortgage insurance premiums were not. When property prices were rising as sharply as they were between 2000 and 2006, lenders also considered piggyback loans a good bet because the growth provided ample equity ‘cushion.’ But when real estate prices dropped in 2007, piggyback loans fell out of favor. By 2010, the percentage of piggyback loans fell to just 1.7%. Today, with house prices on the rise, lenders are again growing more comfortable granting Real Estate Kenai piggyback loans—but with a bit more caution. Lenders usually ask for a FICO score of at least 700 and a debt-to-income ratio that’s below 43%. Increasingly, they want to see that a borrower has cash reserves in case of unforeseen circumstances. If you are considering a piggyback loan in Alaska Real Estate this spring, you will want to run the numbers to see if it’s the solution that makes the most sense. In some circumstances, it can be the best way to get into a home you can afford even though you can’t furnish a full 20% deposit. Call me today to discuss how today’s market meshes with your needs!